“There are some parts of the world that, once visited, get into your heart and won’t go. When I first visited, I was stunned by the richness of the land, by its lush beauty and exotic architecture, by its ability to overload the senses with the pure, concentrated intensity of its colors, smells, tastes, and sounds. 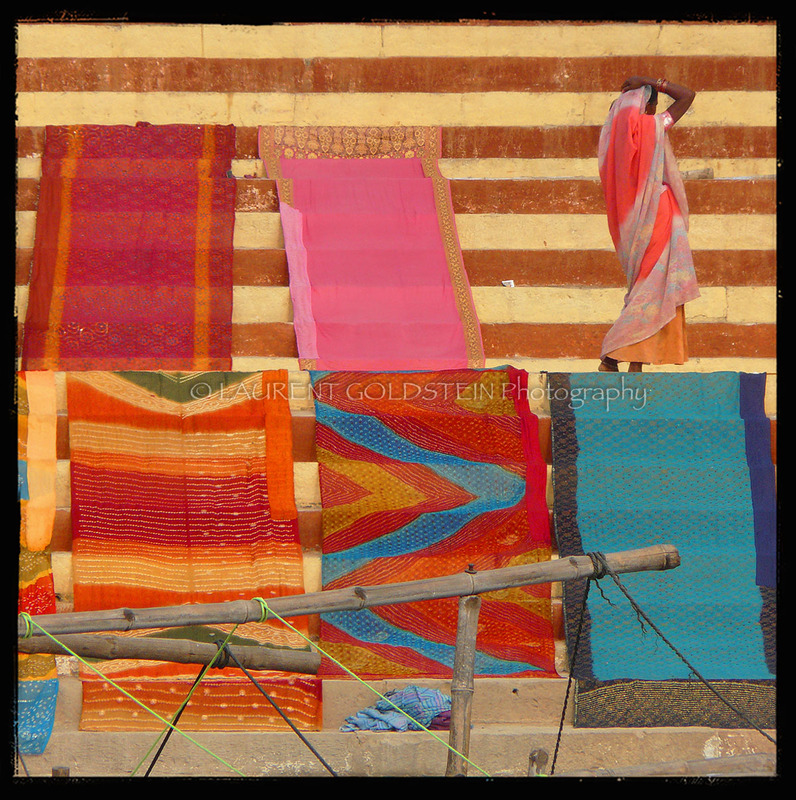 This lady came to wash her laundry in the Ganges, then she stretched those sarees along the ghat in order to dry them under the early sun of the dawn. This entry was posted on February 11, 2013 at 16:47 and is filed under The Oldest Living City in the World with tags atmosphere, भारत, benaras, benares, colours, culture, DMC-FZ18 Panasonic, dream, fabric, ganga, ganges, garment, ghats, heritage, india, kashi, mystery, photo, photography, quietness, river, saree, sari, shanti, silk, soul, square, timeless, tradition, travel, uttar pradesh, varanasi, woman. You can follow any responses to this entry through the RSS 2.0 feed. You can leave a response, or trackback from your own site.